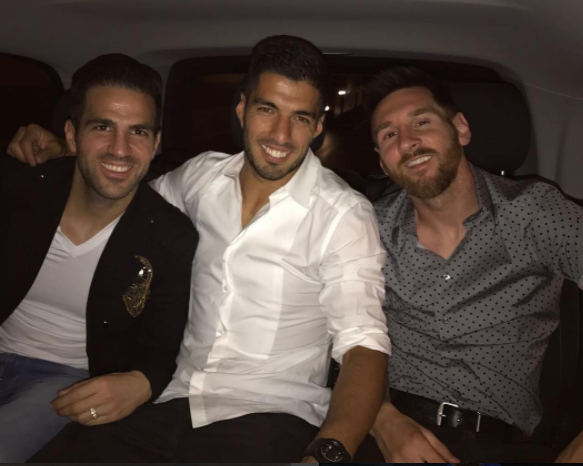 Chelsea midfielder Cesc Fabregas joined the Catalans Lionel Messi and Luis Suarez on Wednesday and no it was not about football! 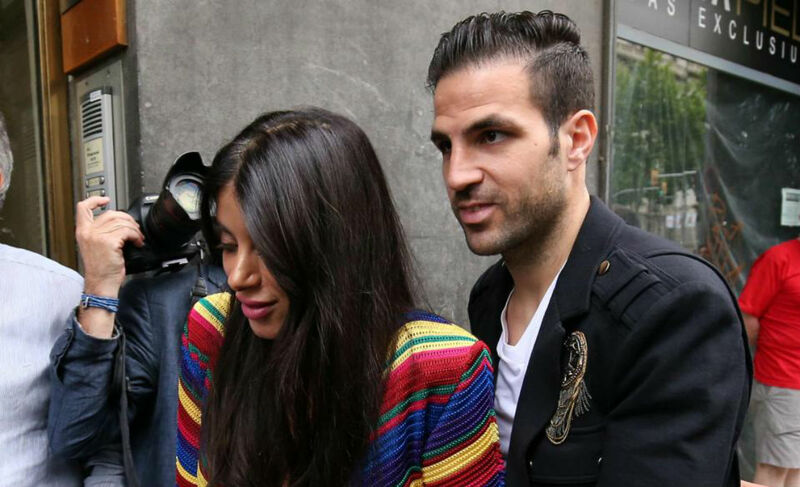 Fabregas, along with her partner Daniella Semaan headed to Barcelona for a shoe shop launch which was also graced by the presence of Suarez and Messi with their respective partners. The new shoe store has been launched in partnership with an Argentine fashion designer. 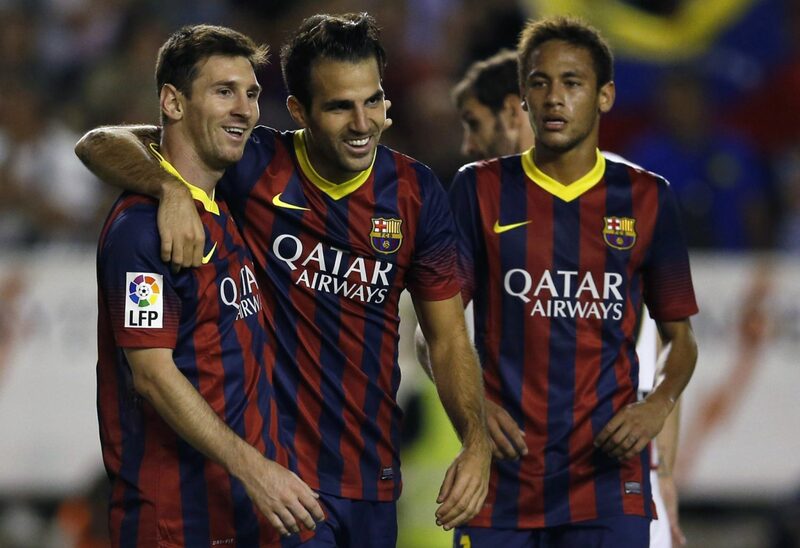 Fabregas had spent three years at Barcelona and played for the Catalan giants during his youth career before joining Chelsea in 2014. Messi’s fiancee Antonella Roccuzzo teamed up with Luis Suarez’s wife Sofia Balbi to open the fashion shoe shop. Antonella, Sofia and Daniella graced the event in gorgeous black chic short dresses. 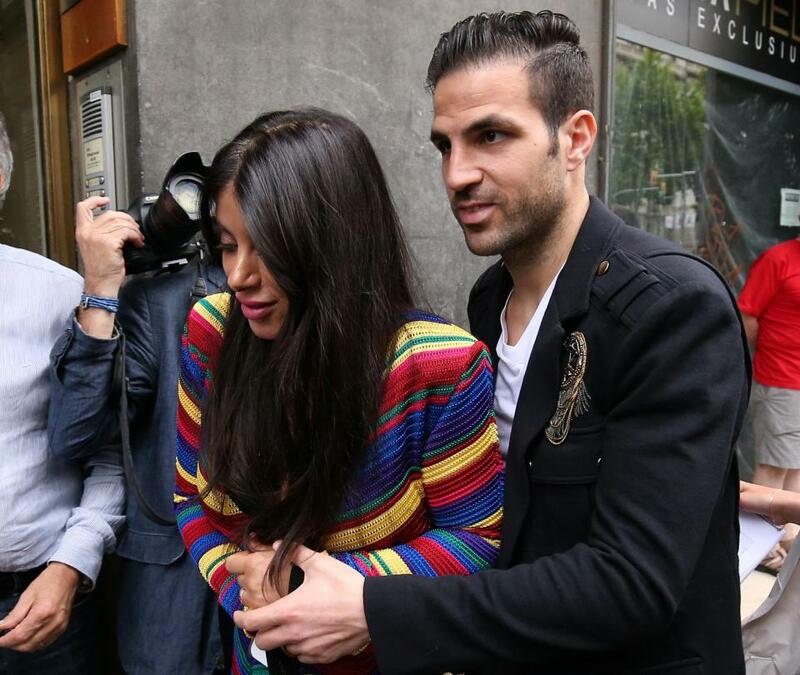 Fabregas will head back to London for Chelsea’s final game of the Premier League season against Sunderland on Sunday. The Blues star came on for the final 10 minutes and scored the winner in Chelsea’s 4-3 win against Watford on Monday with the club already crowned champions. Barcelona will face Eibar in their final La Liga game on Sunday needing Real Madrid to lose to have any chance of winning the La Liga title.